After I finished making the Last Days of Summer Tank, I had a bit of material leftover, so I made my littlest niece a pinafore. 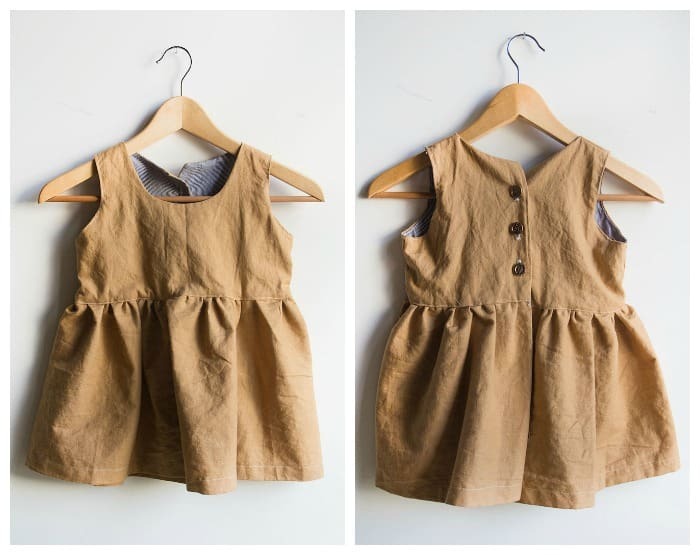 Do you recognize which one of our past tutorials inspired this sewing project? 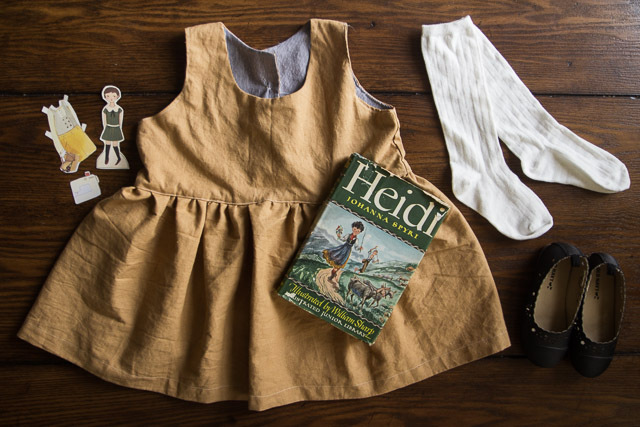 This pinafore is perfect for putting over a dress, or for wearing with leggings and a top. I clearly want to relive my dreams of Little House on the Prairie, because I’m definitely going to make a matching bonnet next. 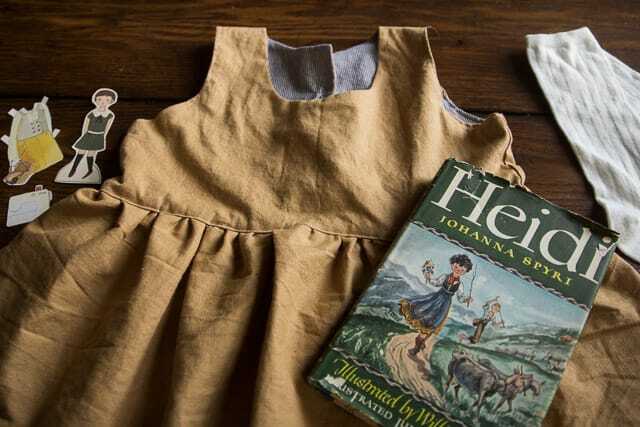 Start making the DIY Pinafore by downloading the pattern and following the instructions for the Ribbon Dress. Everything is almost exactly the same, except that I chose to make the skirt thirteen inches instead of fifteen inches. I went a bit shorter so that her dress would pop out of the bottom when she wore the pinafore over it. 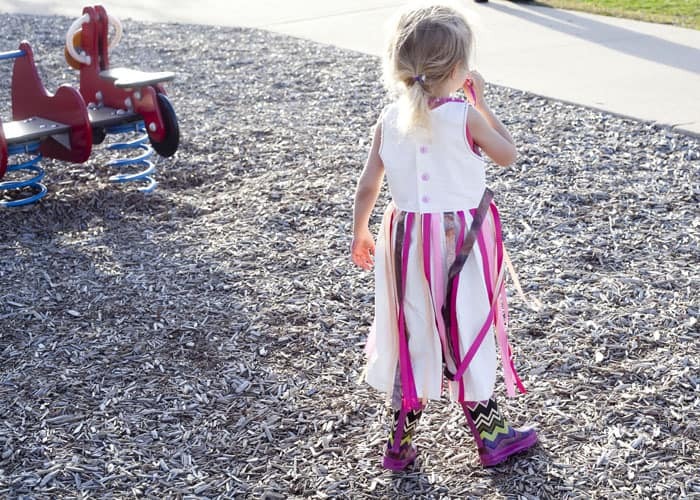 Don’t forget to share your finished pinafore with us on our Facebook,Twitter, and Pinterest Page. How much fabric do I need to make one of these, using the 4T size as a reference? I don’t see the pattern download for the pinafore. Please help.